Sanford Wallace, 47, is nicknamed the "Spam King" and last year pleaded guilty to federal charges including fraud and criminal contempt in connection with using electronic mail. Wallace, who is from Las Vegas, also faces a fine of $310,000 (£218,500). 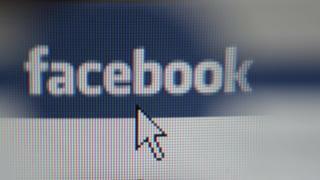 The messages were sent to Facebook users in 2008 and 2009. An FBI investigation resulted in Wallace's prosecution after he turned himself in, in 2011. "Wallace illegally obtained, stored, and exploited Facebook user account information and earned money by redirecting users to other websites," a statement from the US Attorney's Office said. Wallace tricked users into visiting websites after gaining access to people's Facebook accounts and then using those accounts to send spam messages to friends. He earned money by sending users to these destinations and stored email addresses and passwords in order to continue sending spam. Will you miss Facebook's 'other' inbox?